NTEA members receive savings and benefits when attending The Work Truck Show, Green Truck Summit and Fleet Technical Congress, and the new Manufacturer and Distributor Innovation Conference. Attendees and exhibitors can save up to $70* per individual registration as a member of NTEA. Review more pricing options and register today. Not an NTEA member? Join by March 5, or stop by NTEA's booth. We'll apply discounts to your existing registration and/or booth charges. *Based on the maximum special events and packages available per person. Tuesday, March 5 7:30 a.m.–5 p.m.
Wednesday, March 6 7:30 a.m.–5 p.m.
Thursday, March 7 7:30 a.m.–5 p.m.
Members receive one additional Priority Point for each year of membership toward the order in which companies may select and reserve space for next year’s Work Truck Show. 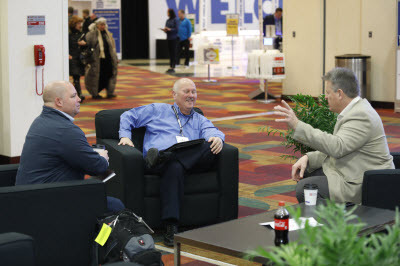 *To receive exhibit space discount or price adjustment, the exhibiting company must be a member in good standing prior to the start of exhibitor move-in at The Work Truck Show 2019 (March 3, 2019), with fully paid dues. View all benefits of NTEA membership. Not sure if your company is a current member? Visit ntea.com/memberdirectory to search or contact NTEA at info@ntea.com or 800-441-6832.